I was overwhelmed. I was tracking all of my qualified leads, sales, and enquiries from my email inbox. I was frustrated because I wasn’t getting better and wanted to do things right. This was the moment I woke up. I didn’t want to have a business like this. 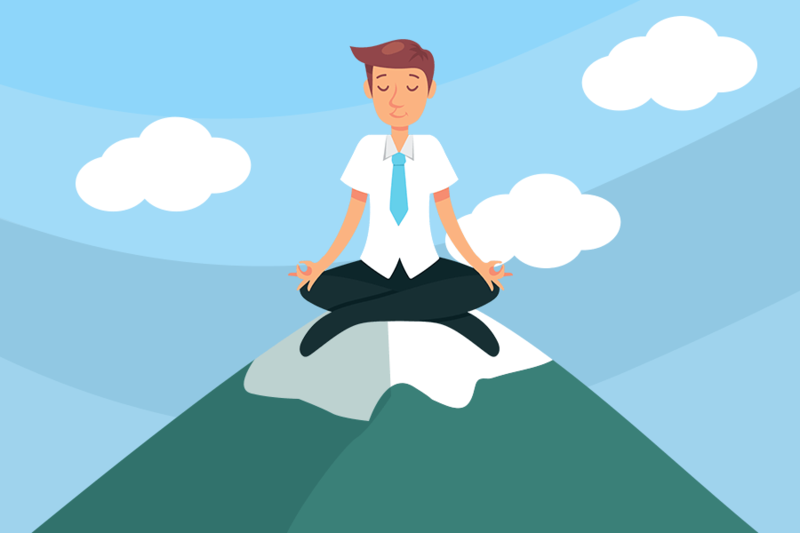 I was everywhere at once – sending emails and quotes to qualified leads, running to client meetings at their offices, losing sales because I forgot to reply to someone. Where you were holding your foot down on the accelerator of your business because that’s how you thought it was supposed to be. Putting out fires (left, right and center) in your business, going home to eat and sleep, and repeat it all over again the next day? That’s what it felt like for me. I was doing my best, but it wasn’t enough. When I got more clients, everything got worse. I was now juggling 4 jobs in my business – administration, lead generation, sales, and project management. Every client project had their own deadlines and details, I had to handle all of it. When you get that sale, you feel amazing. But, it’s not until you realise that you also have 4 other client projects to focus on as well. I was too caught up in doing things the way I thought it was “supposed to be done”. I was running myself, and my business, into the ground. I started my entrepreneurial journey looking for freedom and happiness, but instead, it started turning into a job… again. I felt like I was running full sprint at the beginning of a marathon. At first, I was flying past other runners, but suddenly, I was exhausted and watched them run past me. “I must be doing something wrong.”, I thought. Because there are other businesses, like mine, who were killing it. I will make this work the way I want it. That’s when I decided to “sit down”, and have a real and truthful look at my business. As I was reaching into my pocket to pull out my phone, I stopped. 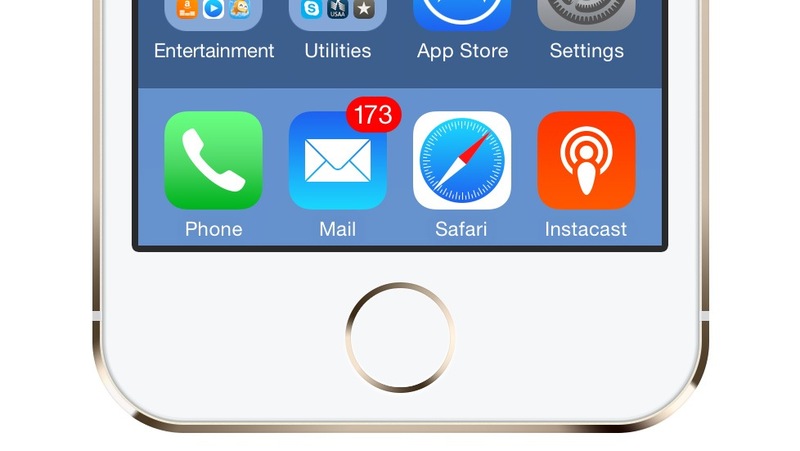 I sat back in my chair and stared at the little red “173” notification on my Mail app. The impulse was strong, but I had enough. I switch the phone on silent, shut the lid on my laptop, and walked away from my desk. Here’s why “being busy” was hurting my business. I was losing opportunities when I was busy. People were falling through the cracks and getting lost in my inbox. Have you ever lost a potential high-ticket sale? Trust me, you’d be kicking yourself too when you lose a $5,000 sale because you forgot to mark an enquiry as “unread”. I also started noticing that many qualified leads needed time to think over my proposals. So, we left the offers on the table. I constantly lost these potential sales because I couldn’t keep track of who to follow up with or when to contact them. Being “busy” and losing track of who I was supposed to contact were forcing me to lose $10,000’s in sales. I was on a boat with huge holes, and it was sinking… fast. As I looked at my napkin, my skin crawled, and shivers went up and down my spine. If I could find a solution to this, I would get more clients and increase my sales and revenue. 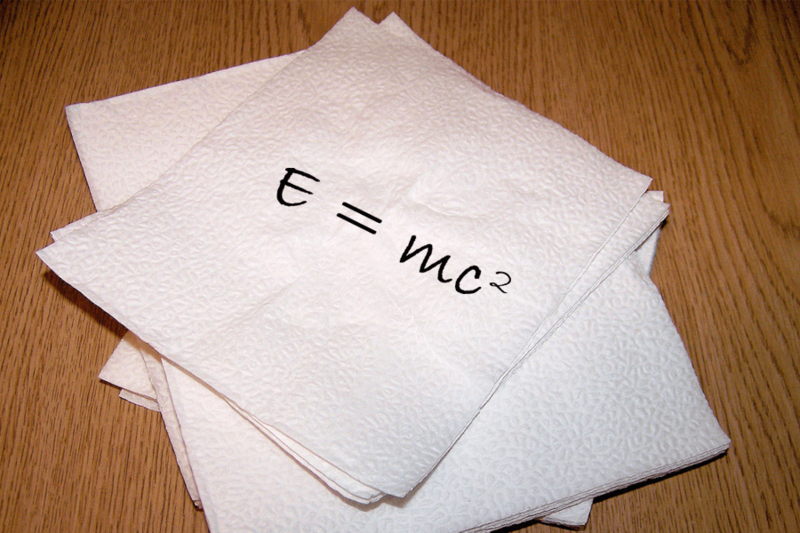 I turn back to the “problem” side of the napkin. That’s where the hole in my boat is. As I was doing research for this blog post, I wanted to see if other businesses were in a similar situation. I was shocked at some of the results I saw. 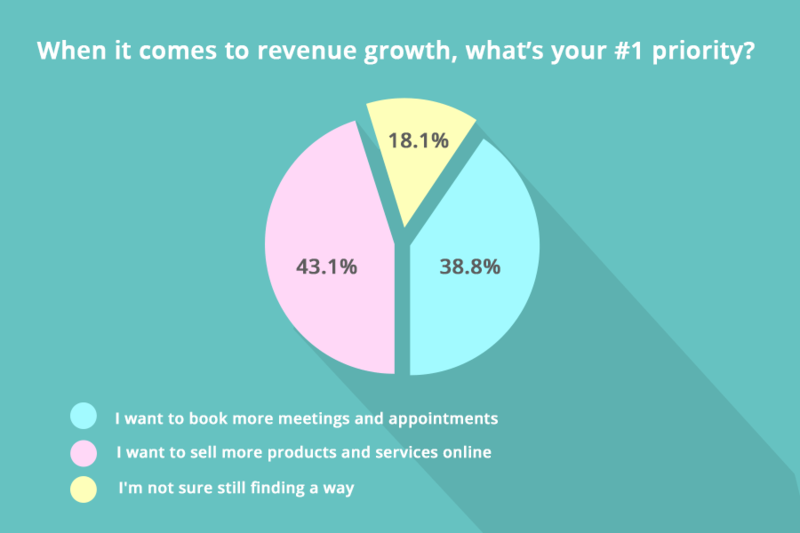 More than 80% of business owners want to get more meetings and close sales. Not surprising, the more sales you get, the better, right? This is when my jaw dropped. As I dove deeper into our surveys, I found something startling. Did you notice a common pattern in these comments? This might explain why so many small businesses close after a few years, don’t you think? Imagine if these businesses had a system to help them with their qualified leads, sales, time management, and planning. Can you see the potential in your businesses too? Every “important” email reminded me that there was something I needed to do. My Inbox became my To-do list. Imagine getting 50-100 emails a day. Tracking every task would be impossible. I tried using Google Spreadsheets and Excel to track my clients, projects, and sales – it worked for a while, but I eventually gave up because it wasn’t efficient enough. I had to find another way. I sat down at my desk and looked at my Inbox. I was treating my inbox like a to-do list. It was creating a false sense of productivity and achievement. When you get a lot of emails coming in, you quickly create an internal filter to find out which ones are important or urgent. But, that’s all in our heads. We are using our mental energy to filter and prioritise which tasks we have to do and which emails reply to. This can make it feel like every single email actually needs to be answered immediately. This is the reason why you might feel like your inbox is a bottomless pit. Imagine you open an email and after reading it, you realise “This is not ready to take action on yet” or you have to wait for something else before you can reply. You mark the email as unread or move it to your “To-do” folder. This is a good way to prioritise your emails, right? Nope. While it feels like it’s working, it’s still taking up your mental space. If you don’t empty out the clutter from your mind, you get overwhelmed with all the tasks and to-do’s you have to take care of later. Doesn’t it feel good to get to Zero in your inbox? Or, read through all of your emails? But, then you get to the end of the day and you feel like nothing important got done. A “simple, little email” can be destructive to your focus. It pulls you away from important tasks you have to complete – finishing your client’s project, creating your marketing plan, or writing quotes to qualified leads. Distractions can slowly erode your business, and you’ll be left wondering what happened. But, this happens all the time. Remember when you were working on something important, and suddenly, you hear and feel your email notification go off. You decide to pull out your phone and check the email. You realise it’s not important, lock your phone, and you go back to your work. You hear and feel your email go off again, and you check it again. This becomes a continuous cycle – round and round we go. Putting your phone on silent doesn’t help if it’s on vibrate. Protect your focus – that’s what’s going to help you succeed in your business. Finally… Looking for a Solution. After realising the problem I was having with my Inbox, my to-do list, tracking my qualified leads, and follow up with clients and customers; It clicked. I knew what I wanted. This path led me to learn about CRMs. CRM stands for Client / Customer Relationship Management – it is a software tool to help small businesses track, find, and handle their customer or client database. If you are not familiar with CRMs, it might be what’s missing from your business. When you find the right CRM for your business, it can save you money, time, and give you (and team) some freedom from certain tasks. Have you ever had that feeling when someone tells you something, and it just blows your mind? When the doors of your mind open wide, and you start to see all the possibilities and opportunities? I could see how a CRM in my business could take me to the next level. All I had to do was find the right CRM for me. I rushed over to my computer and Googled: “CRM”, “Best CRM for Small Business”, “CRM Reviews”. I read whatever Google showed me – forums, CRM websites, blog posts, articles, and ebooks. It looked promising. I could smell the potential in the air. It wasn’t until I started reading people’s comments that there might be some issues with what I wanted a CRM to do. 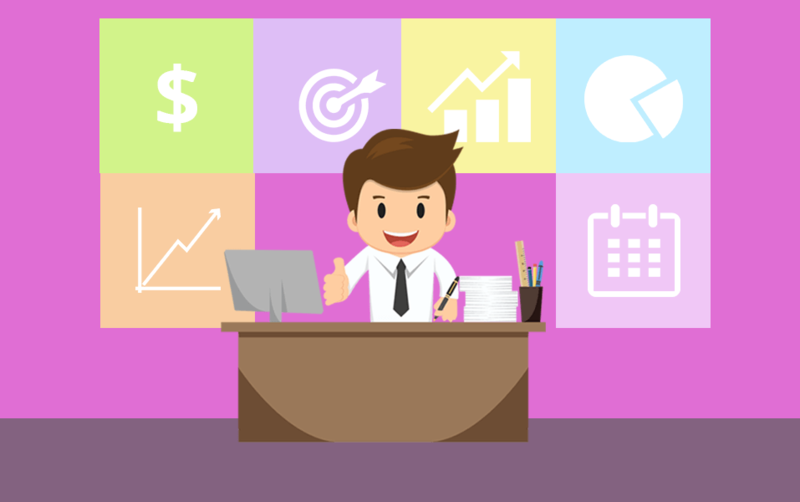 When comes to deciding on a CRM, you want to be using the right tool for the right job. If you’ve ever used a CRM before, like Infusionsoft, Salesforce or Zoho; you know about all the great benefits and features they have. Were great at some things, but did poorly in other areas. Didn’t have features that were important to business owners, like being able to track where your qualified leads came from. Make simple things more complex than they should be. Live support was often slow to respond, or their instructions were difficult to follow. Want you to fit into their CRM model, rather than their CRM model fitting into your business. Monthly subscriptions were expensive, or they made you pay for an On-boarding/Learning fee. I want to cover 2 areas that I think are the most critical for owners who want to introduce CRMs into their businesses. What are Costs for CRMs? If you are not careful, you might end up paying more than your monthly fee for CRMs. There are 2 categories for pricing CRMs: “High-end” and “Low-cost”. “High-end” CRMs can cost around $300 per month. Apparent “Low-cost” CRMs, such as Zoho or Insightly often start with a completely free version, while others start at around $9 – $12 per user per month. “High-end” CRMs tend to have better features, but not always. “Low-cost” CRMs are starting to match the “High-end” CRMs in terms of features and benefits. “Low-cost” CRMs might be the way to go, right? Here’s the thing with Low-cost CRMs. While it looks cheaper, you can very quickly end up paying more than you thought once you need more functionality than a spreadsheet could otherwise give you – especially if you are looking for special features or want extra users. Your $9 per month, might actually end up being $100 per month or more. If you missed it the first time I said it, I’d like to repeat it. Are you paying extra fees for On-boarding or learning how to use the CRM? Yes, there are CRMs that do this – for example, Infusionsoft and Salesforce. But, I don’t want to talk about the cost here. I want to talk about the time and energy you will need to learn your CRM system. You shouldn’t be spending months learning how to use a CRM software. You should be able to learn it in a few days or weeks. Setting up your CRM takes time – so keep this in mind. 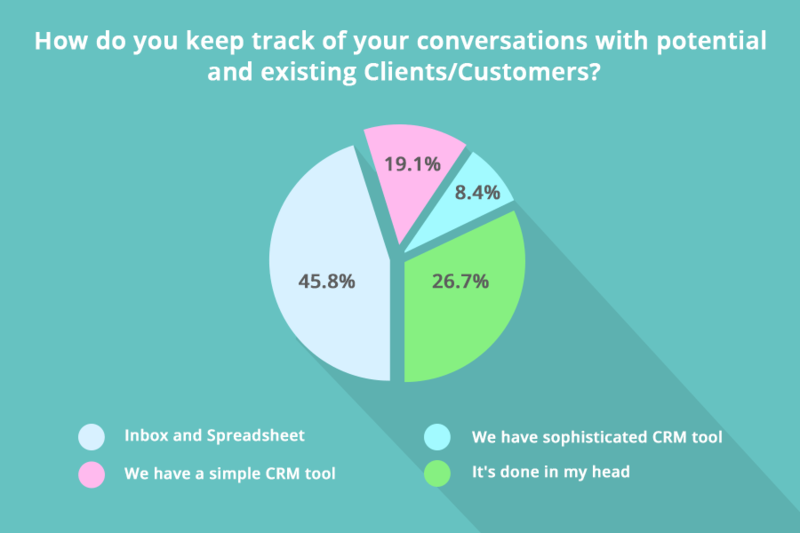 Bottomline: Should you get a CRM tool for your business? 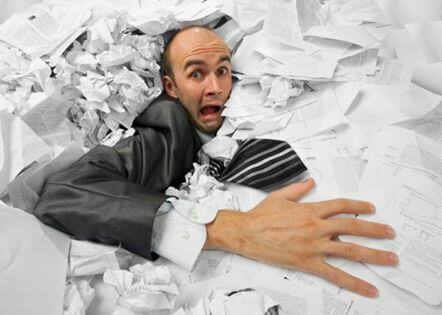 More Organisation in your Business? Less “Busy” Work, and More Productive Work? Imagine having a command center for your business. That’s what your CRM should be – A Command Center. Schedule your Events in your Calendar. And, anything else you might want to improve your business. How great would that be? After hunting around and trying dozens of different CRMs, I realised there was a huge gap in the market and made my decision. I created my own business command center, and I want to share it with you. Check and send your emails to qualified leads, customers, and clients. Send surveys and forms to help you filter qualified leads, learn about your customers, and get referrals. Are you ready for your Business to have its own Command Center?